Will this be a Chinese century in higher education? Home / Global Ranking Monitor / Will this be a Chinese century in higher education? 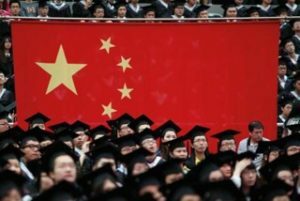 Considering the current situation in global higher education and China’s significant role in it, universities have to ask the question if China’s new strategies will reshape higher education. The One Belt One Road initiative that China recently launched would mean a strong cooperation between Eurasian countries. It will probably integrate new parts of the world but on different conditions for higher education as well. This was one of the topics for discussion at the two-day international conference held at Berkeley’s campus in California in celebration of the 60th anniversary of UC Berkeley’s Center for Studies in Higher Education.